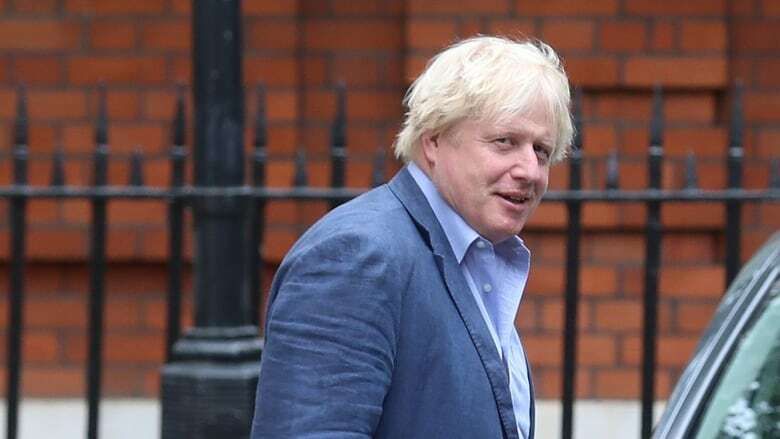 The chairman of Britain's governing Conservative Party has asked former foreign secretary Boris Johnson to apologize for a newspaper column in which he wrote that burka-wearing women looked like "letter boxes" and bank robbers. Johnson, who quit the government last month in a dispute over Brexit, made the remarks in a Daily Telegraph article published on Monday. Johnson said he opposed banning burkas, but wrote that it was "absolutely ridiculous that people should choose to go around looking like letter boxes." Latin-spouting, tousle-headed Johnson is a former mayor of London and one of Britain's best-known politicians. He resigned as foreign secretary in July, accusing Prime Minister Theresa May of killing "the Brexit dream" with her plan to seek close economic ties with the European Union after the U.K. leaves the bloc next year. The resignation solidified Johnson's position as a leader of the pro-Brexit wing of the Conservative Party, which is deeply divided over its attitude to the EU. Many expect May to face a leadership challenge if faltering Brexit negotiations don't improve — and Johnson is likely to be a contender to replace her. Some suspected Johnson's burka comments were intended to boost his appeal among right-wing members of the party. Sayeeda Warsi, a Conservative member of the House of Lords, said Johnson was using Muslim women as a "convenient political football to try and increase his poll ratings." "These were offensive comments but clever politics," she said. "Boris knew the effect and the impact that this kind of dog-whistle politics would have." Several European countries, including France, Belgium and Denmark, have banned face-covering veils in public, but none of Britain's main political parties supports such a restriction.